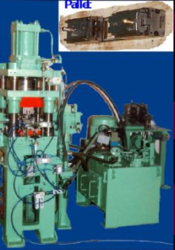 Mech Consultants & Manufacturers - Manufacturer of milling and boring machine, wmw make lathe in pair with milling and boring mach machines & foam cutting machine in Bengaluru, Karnataka. 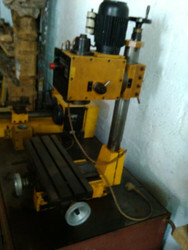 It is lathe and milling machine - 2 units. Milling unit Photograph is not loadable since no option is in site. Accuracy of operation : Lathe runout 0.001mm, Milling worktable placement accuracy-0.002mm. Capacity : Turning upto 100mm Dia. and length 800mm. 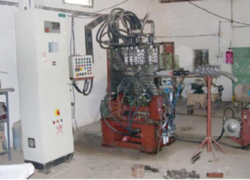 • Multislide Shearing, Bending , Forming Press working Centre with On/ Off-line Riveting, Tapping etc. Tooling with standard Basic tool concept . • Magnet Assembly making without back and center limb grinding with pole faces finishing within 0.02 mm in grinding — LV switchgear contactors . 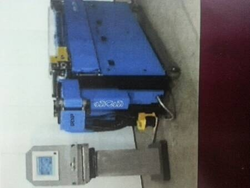 • 40 Ton Hydraulic Down stroking Press — 2 point Powered for Articulated Urethene Foam Sheet Cutting to size and shape and cut edge without tapering. 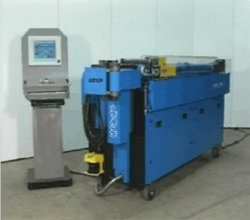 • In Process — 5 Axis Pipe Bending M/c • Glass Forming Lathe for Instruments. 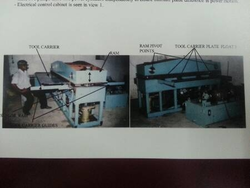 • Transfer Line — 8 station with Pallet for 2 wheeler Silencer Pipe annular gap filling with steel ball, one end closed with swaging and other open end Capping. 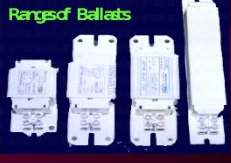 • Open Magnetic Ballast Assembly Line for Fluorescent/ CFL lamp. 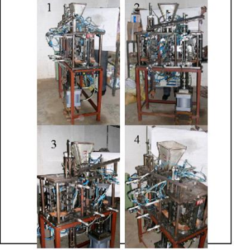 • Transfer Line — 10 Station with Pallet sub-assembly of Core-Coil of Open Ballast. 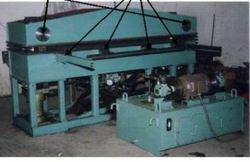 • Rewinding System of 250 HP motor coil of Torishima ,Japan make Pumps.